Matthew trains for expeditions to the most extreme places in the world. Whilst many of Matthew's most technically difficult ascents and climb & fly projects have been encountered during short day trips to the Scottish Highlands, the bigger trips and major expeditions Matthew has been a part of listed below represent the pinnacle of his achievements, trained for with thousands of miles on the bike, and hundreds of hours under his speed wing. 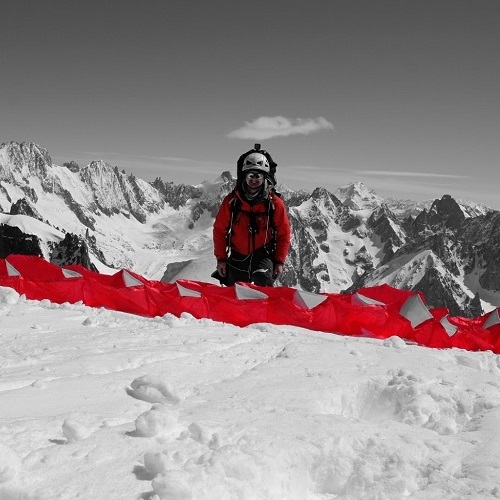 Working with partners and sponsors, Matthew is currently focusing on a number of modern fast & light expeditions and objectives in Europe and the Himalayas which are primarily focusing on the use of speed wings to both enhance the adventure, but also to make certain fast and light projects a possibility. The latest project Matthew is working on is known as #RidingGiants with further details found on the #RidingGiants Page. In late April 2017, Matthew set out with two friends to the heart of the French and Italian alps to climb, fly and ski some of the largest mountains in Europe including Mont Blanc. Whilst it looked like heavy snow might scupper proceedings, it only served to facilitated huge powder days to ski whilst conditions settled in the high mountains. 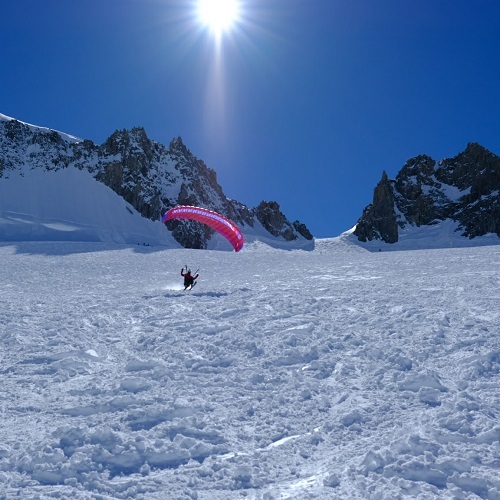 As a team, we climbed amongst others the Parrot Spitz and Mont Blanc, ticked off the Vallee Blanche and rode with our speed wings from the Grands Montets and multiple French and Italian peaks. In June 2016, Matthew set out to make the fastest ascent of Ben Alder, a remote hill in central Scotland. The challenge was to make the journey from the nearest main road, however the challenges involved push this adventure closer towards mini-expedition than microadventure. Choosing the shortest route, Matthew had to walk a valley, climb and descend a col, cross a moderately rough Loch Ericht on a lightly modified inflatable boat, and then after a long loch walk, climb the mountain via a long and discontinuous route. He then repeated the journey clocking almost 26 miles over 12.5 hours. A comprehensive write up is available on the Ben Alder dispatch blog. 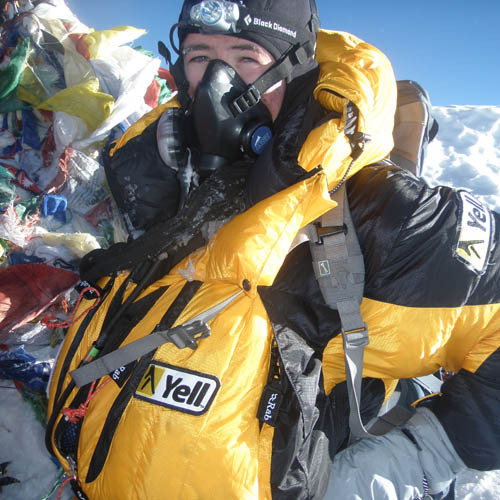 In May 2012, Matthew became part of the youngest ever team and one of the youngest Britons to summit Mount Everest. After many years of training, preparatory climbs and sourcing funding, Matthew was given the green light in March 2012 to head back to Kathmandu in Nepal and make the long journey to Everest. Illness, altitude sickness, avalanches and general lassitude from spending 10 weeks in a tent all took their toll on the team. 4am starts to climb the Khumbu ice fall were tough, but the long slog from Camp 1 to Camp 2 along the mostly flat Western CWM were markedly harder. Dry conditions forced the Sherpas to elongate the route up to Camp 3 which was to be our first evening on oxygen. We didn’t realise at the time, but upon waking up at camp 3, we wouldn’t sleep again for over 36 hours. In that time, we would climb to the desolate moonscape of Camp 4, wait for nightfall and then start the climb to the roof of the world. As a team, we climbed the final few meters of the mountain watching the sun rise over the plains of the Tibetan Plateau and into Bhutan. We summited the mountain and looked out over the world. It isn’t possible to entirely explain what summiting Everest means in words. 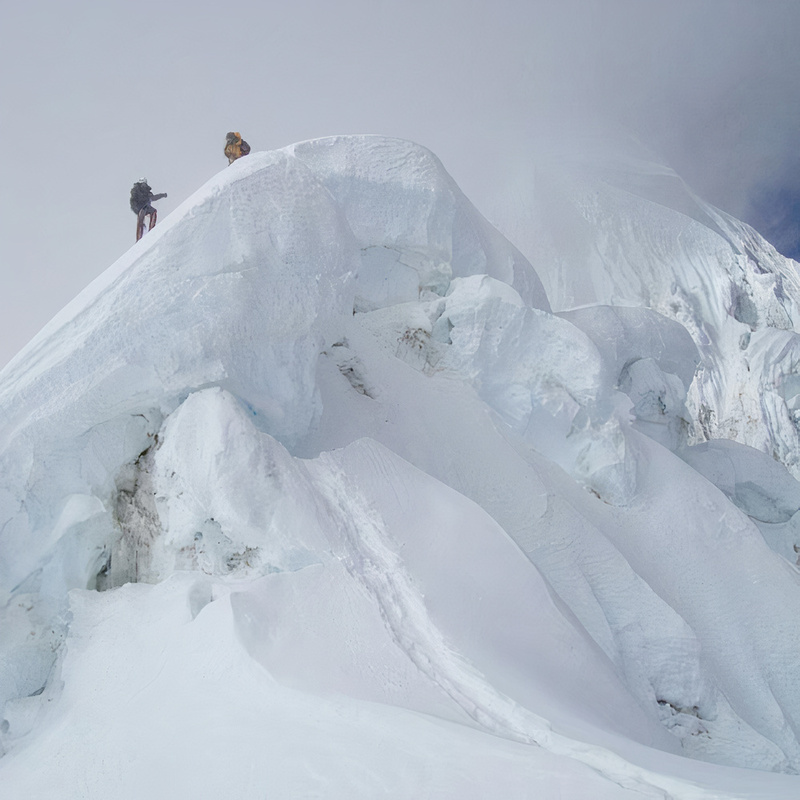 An expedition to the lofty peak means something different to any climber who has been lucky enough to set foot on the mountain. Worlds such as euphoria, extreme fatigue and exposure, lucidity and surreal emptiness only go so far in describing what it’s really like to be standing in such a place; the rest can only truly be understood by those who dare to venture up into the clouds. Gaining support for the expedition was almost as difficult and painstaking a process as the climb itself. The quest to gain funding whilst demonstrating exactly what the return on investment would look like took close to 3 years; two years as a full time job. After countless rejections, perseverance paid off with Yell Group announcing that they would sponsor the climb as part of their corporate rebranding strategy. At the same time, Matthew announced that the expedition would be in support of Global Angels, a charity championing global children’s causes. Any charitable funds raised from the expedition would go directly to Global Angels’ water foundation which aims to provide every child on the planet with access to clean and safe drinking water. The 2012 Everest expedition was kindly sponsored in full by hibu (formerly Yell Group). Osprey, AMG Group, Maximuscle and Trekmates all made the most welcome contributions in the form of kit, clothing and nutrition support. To view more details of the expedition, please visit the Everest 2012 dispatch blog. Matthew has written an account of the expedition on Everest along with the journey up to the summit which is now available at many good bookshops. Further details of Dare to Dream can be found here on the books page. 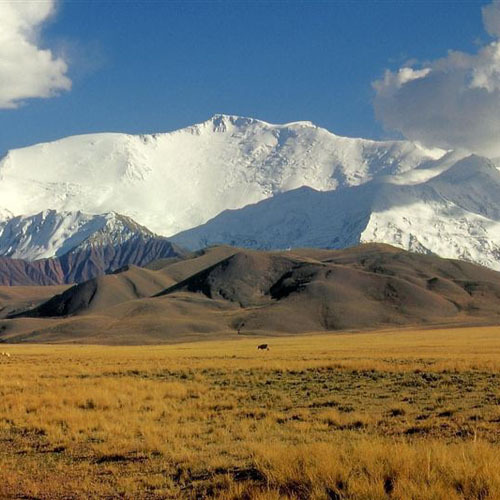 Following the earlier 2011 trip to Kyrgyzstan to climb Peak Lenin, Matthew tried his hand at high altitude climbing once more in an attempt to climb both Mera Peak followed by the 7,129m Baruntse. This expedition was much more of a success, but not without the extreme difficulties typically faced whilst climbing a relatively remote Himalayan peak. Friendship and team work were the two characteristics epitomising this expedition which made climbing one of the most beautiful Himalayan ridges at over 7,000m possible. To view more details of the expedition, please visit the Baruntse 2011 dispatch blog. To view more details of the expedition, please visit the Peak Lenin 2011 dispatch blog.